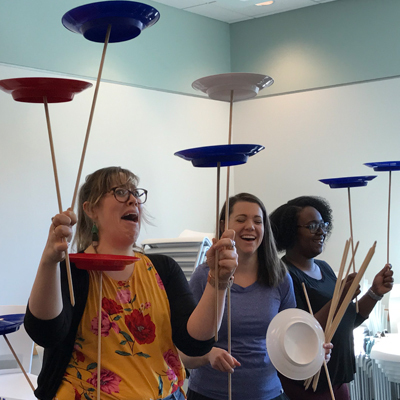 Anyone that's been involved in planning a conference knows the amount of work that goes into managing logistics, people, and last minute glitches that inevitably arise. It can be stressful especially on the first day of the conference making sure all of those details fall into place. 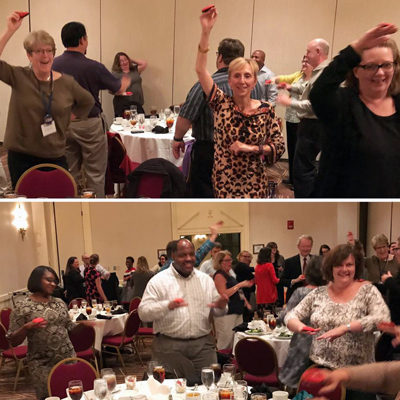 At the North Carolina Library Association Conference last week, we helped the leadership team relax and unwind the first night of the conference during the President's Dinner. 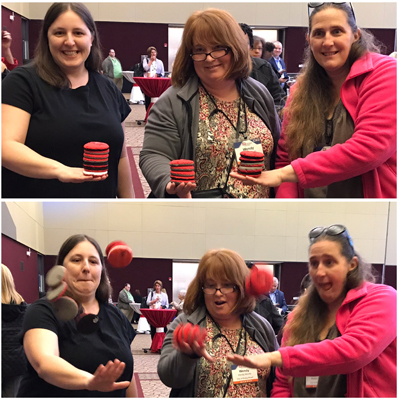 As soon as the room of approximately 65 people started playing with the flop ball, the energy shifted in the room. We love creating the space for people to pause and unwind. Especially when it's groups of people that volunteer their time to put together a conference to further professional growth for their peers. Congratulations to the NCLA Conference planning team for a great event.